If the ingredients in your pills don’t really work, does it matter if they’re correct? Well, yes. Even if that echinacea pill doesn’t cure the common cold, if a supplement manufacturer sells you an echinacea pill, they have to put echinacea in it. Supplement makers can and do make all kinds of claims about the health benefits of the stuff they’re selling you. They claim that supplements can "boost your immune system," relieve aches and pains, improve memory, and promote "wellness," whatever the heck that means. Most this is nonsense, but thanks to the manufacturers’ special friend in the U.S. Senate, Senator Orrin Hatch, the federal government has almost no power to regulate these claims. Over the years, the supplement companies have been very generous to Senator Hatch, and he has returned the favor by defending them (though of course he denies any quid pro quo). Even supplement makers have limits: they can’t sell you ground-up house plants, or rice powder, claiming that it’s St. Johns Wort. But as New York attorney general Eric Schneiderman revealed last week, that’s exactly what some of them have been doing. Amazingly, 79% of the supplements tested did not contain the primary ingredient listed on the label. Many of them contained other plant material, including plants that might cause an allergic reaction in unsuspecting customers. You see, as cheap as most supplements are (compared to real medicine, that is), rice powder is even cheaper. Attorney General Schneiderman sent letters to four of the largest retailers of supplements in the country: Walmart, Walgreens, GNC, and Target, demanding them to immediately stop selling supplements that were falsely labelled, including echinacea, ginseng, St. John’s Wort, gingko biloba, and others. What did Schneiderman's office do? Well, they conducted a scientific study, using DNA sequencing to test the ingredients in six types of herbal supplements, looking at different brands from multiple stores. They tested each sample 5 times to ensure accuracy. They collected 78 different samples and ran 390 tests in all. GNC "Herbal Plus" supplements: gingko biloba, St. John's wort, ginseng, garlic, echinacea, and saw palmetto were tested. Garlic was the only one that consistently contained what the label indicated. One out of four bottles of saw palmetto tested positive, and none of the other four supplements contained the labeled herb. Overall, 22% of the DNA tests identified the labeled ingredient. Contaminants included rice, alfalfa, and houseplant DNA. Target's "Up & Up" supplements: gingko biloba, St. John's wort, Valerian root, garlic, echinacea, and saw palmetto were tested. 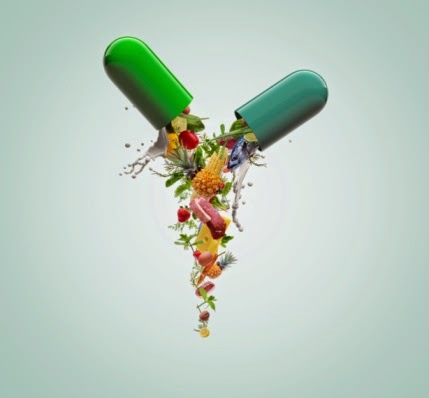 Three supplements–garlic, saw palmetto, and echinacea–contained what they were supposed to. The other three had no DNA at all from the labeled ingredient. Walgreens "Finest Nutrition" supplements: gingko biloba, St. John's wort, ginseng, garlic, echinacea, and saw palmetto were tested. Only one of these, saw palmetto, consistently contained its labeled ingredient. One sample of garlic actually contained garlic, and none of the other samples contained any DNA from the labeled ingredient. Overally, 18% of the DNA tests found the expected ingredients. Contaminants included rice, wheat, daisy, and houseplant DNA. Walmart's "Spring Valley" supplements: gingko biloba, St. John's wort, ginseng, garlic, echinacea, saw palmetto were tested. Walmart had the worst results: of 90 DNA tests on 18 bottles, only 4% found any DNA from the labeled ingredient. Only one bottle of garlic and one bottle of saw palmetto contained what they were supposed to. Contaminants included pine, grass, citrus, and cassava. This is pretty stunning, and it's only a sample; see the AG's letters to each retailer for more details. According to the New York Times, the retailers agreed to pull the supplements off their shelves (in New York, at least) after receiving the AG's letter. Just a couple of years ago, Senator Orrin Hatch successfully fought off an amendment that would have required supplement makers to register their products with the FDA and provide details about their ingredients. As the NY Times also reported, Hatch has received hundreds of thousands of dollars from the supplements industry over the years. Of course, even if these bottles did contain what they were supposed to, their claims to improve memory, boost your immune system, and fight off colds are entirely unproven. Thanks to a 1994 law championed by Senator Hatch, the FDA cannot require supplement makers to prove that any of their products work, as long as they avoid specific claims to cure a specific disease. But if they say they're selling you gingko biloba or St. John's wort, they're supposed to put that in the pills. Instead, it seems they are selling ground-up rice and house plants. One supplement did actually contain what it’s supposed to: garlic pills. Garlic has been investigated for its effect on cholesterol levels, where it seems to have at most a very small benefit. Garlic lovers would argue that you're losing the real benefit if you take it in pills rather than simply eating it. And garlic does have one unique benefit: it is 100% effective at warding off vampires. I wonder if in the future when DNA synthesis gets cheaper if supplement makers will just add some synthetic rRNA from their supposed medical herbs to the rice powder. That way they will fool the PCR tests while still not bothering to include any active ingredients. Interesting sequence: NYT prints story on AG report. Publishes stern editorial. And then nothing. No follow up story. No interviews with representatives of the retailers charged. No parallel validation testing. Google it. zip. "DNA sequencing" cited as testing method. All testing coming from one guy using one method. Why is no one digging deeper? This blog just parrots the Times story. Dudes! Get to work. I've done extensive DNA sequence analysis myself and the methods are very reliable. I read the AG report as did the NYT (obviously). The onus is now on the manufacturers to prove they actually put the ingredients in those pills. I think they were using cheap fillers instead, as the AG showed. It is nearly impossible to get rid of all the DNA from a plant no matter what extraction method you're using, unless you burn it to a crisp. But these manufacturers aren't used to proving anything - thanks to Orrin Hatch, they don't have to.